Quinoa is still very much a small niche crop in Canada, but since the United Nations declared 2013 the International Year of Quinoa, it’s been gathering steam. The ancient South American staple is now being grown commercially in Ontario as well as the three Prairie provinces, but adapting quinoa to our country’s unique growing conditions hasn’t exactly been easy. The search for seed to produce quinoa varieties that can reliably flourish in Canada continues, and it is entrepreneurs as well as research scientists who are leading these efforts. We talked to the producers of two made-in-Canada products — Quinta Quinoa and Amber Quinoa — about the different paths they’re taking to find right seed. Jamie Draves is the founder of the Quinta Quinoa brand, which was introduced to Ontario consumers in Ontario last year. Draves got his quinoa brand onto store shelves after appearing on CBC Television’s Dragon’s Den in 2015. He left the Den with a $200,000 investment from Canadian restaurant magnate Vikram Vij to go towards advancing a gluten-free production facility in Georgetown, Ont., and the commercialization of Quinta Quinoa. Draves started with small group of growers in Ontario producing his quinoa and he’s begun looking to Western Canada to expand his network. Developed through five years of industry-support research, Quinta Quinoa varieties are highly nutritious. They’ve been shown through third-party testing to be high in protein, fibre and zinc, an excellent source of iron and magnesium, and a good source of calcium. “We are two-to-four times the nutrient value of any other quinoa on the market,” Draves says. The company hasn’t stopped there. Draves notes that an aggressive conventional breeding program has been set up, which so far has produced 70 new varieties of quinoa. It’s hoped that some of them will be ready for commercialization in as little as three years. “We expect quite a few of these varieties — at least five to 10 of them and potentially quite a few more — will have very unique traits that will be sought-after for specific functional food market purposes,” Draves says. According to Draves, the new varieties have different potential strengths. “We are opening discussions with growers and companies around the world to help them develop superior seeds to the ones they already have, and many of them are looking for something different,” he says. Draves says the focus of the breeding program is on producing higher yields as well as expanding the choice of different-coloured offerings and beefing up the nutrient content of Quinta Quinoa even further. Quinoa is a cool-season crop and is particularly sensitive to heat, which limits the areas of potential commercial production in Canada. Quinta Quinoa growers in southwestern and northeastern Ontario have fared well in terms of yield and quality, Draves notes. 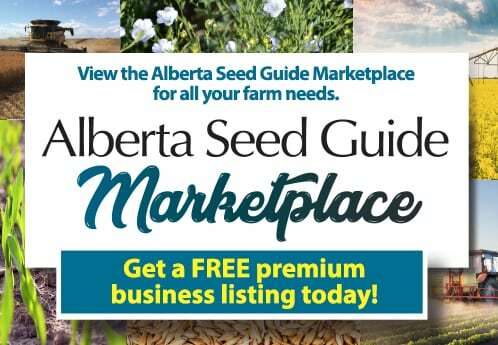 He adds the company’s quinoa production efforts in Western Canada have so far been mixed, although there were some “incredible results” in southern Alberta last year, including a record 2,000 pound-per-acre yield. Draves’ company and its research partners are working toward achieving a better understanding of both the development stages and the phenological elements of quinoa production, in order to speed up the process of naturally breeding varieties tailored to different areas. “That includes taking a look at using some of the newer CRISPR technologies to look at markers within the gene code that inhibit or hold back certain strengths of the crop. This will allow us from a non-GMO perspective to really better understand how we can select these natural plants, to encourage some of these more favourable traits in the different areas,” he says. Percy Phillips of Portage la Prairie, Man., has a background in agricultural engineering and in product development in ag, mining and transportation equipment. These days, much of his time is spent developing both a producer base and a market for Amber Quinoa, Phillips’ own brand of prairie-grown quinoa that’s sold at a dozen or so retail and food service locations in Manitoba. Phillips’ interest in quinoa was sparked by a Peruvian vacation some eight years ago. He started wondering if quinoa could be a successful crop back home, and Phillips’ curiosity turned into a quest for quinoa seed that could be grown commercially in Manitoba and, eventually, the establishment of Prairie Quinoa. Prairie Quinoa’s mission — to produce a superior and distinct Canadian quinoa — is similar to that of Quinta Quinoa’s, but Phillips has chosen a different route in his effort to get there. “I’m an engineer, not a plant breeder, so rather than trying to develop my own variety of quinoa, I went on a search to find quinoa seed from other parts of the world that would grow here,” Phillips says. 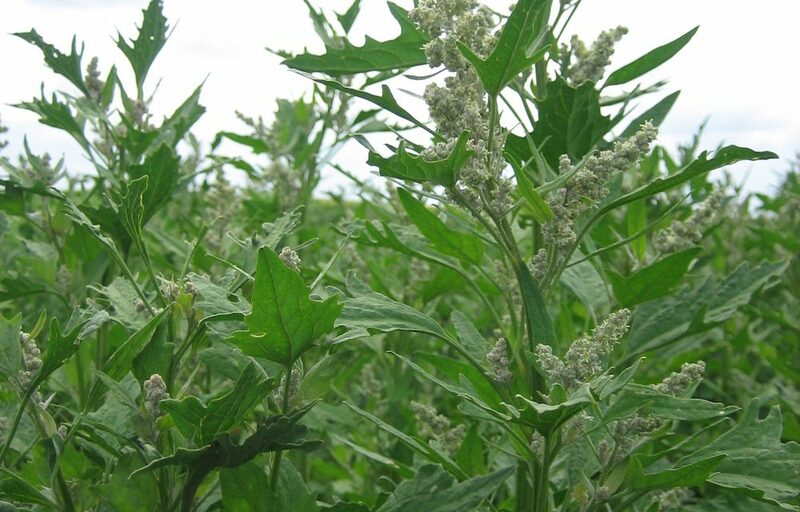 For the past three years, Phillips has been trying out different types of quinoa, not only in his own plots but also through ongoing variety evaluation trials at Manitoba Crop Diversification Centres in different areas of the province. “It has cost me a lot of time, effort and money to locate the seed,” says Phillips, who has sourced his quinoa seed from South America as well as the U.S.
Amber Quinoa has been Phillips’ most successful variety and is the one that’s now being produced commercially. He’s looking for more Manitoba producers to try their hand at growing the crop for Prairie Quinoa this year. Phillips says the potential advantages Manitoba holds for quinoa production include long daylight hours, productive land and large field sizes, and proximity to U.S. markets. But he acknowledges that finding quinoa seed from elsewhere that will consistently perform well in Manitoba — in other words, produce a reliable, high-yielding crop — has been challenging. According to Phillips, the first year of trials in 2014 showed quite a bit of promise, but the results were much more mixed the following two years. He believes this was due in part to moisture deficiencies and weather anomalies in the testing areas. Craig Linde of Manitoba Agriculture has been overseeing the quinoa trials at the crop diversification centres. “From year to year the variability has been quite high, which I think is essentially the main takeaway with regard to quinoa right now,” he says. According to Phillips, quinoa has a vast genetic pool, with some 5,000 different varieties in Peru and Bolivia alone. Because of this diversity, Phillips believes discovering the right types of seed to fuel a successful commercial quinoa industry in Manitoba is likely only a matter of time. Prairie Quinoa is prepared to keep looking — new varieties will continue to be assessed in Phillips’ fields and in more government evaluation trials this year.